As outrage in the nation rises, Silicon Valley executives are issuing public statements condemning the Trump Administration’s policy of separating children from their parents at the US-Mexico border. 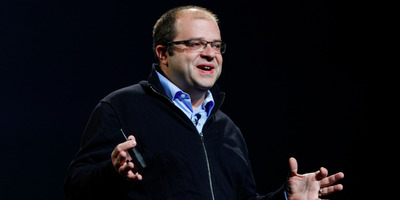 One such CEO, Twilio founder Jeff Lawson, has done more than tweet a statement. And he’s urging people who want to see this policy end to engage in a series of actions to put pressure on the administration to do so. Intentionally separating families is objectively wrong, and we must fight it vigorously. No matter what excuses are made, let’s call this what it is: collective punishment. The practice of punishing family members is not just morally offensive, it’s also a war crime under the Geneva Accord. We are punishing children for the possibility that their parents have committed a minor crime (a misdemeanour actually), or no crime at all - in the case of amnesty seekers. We are terrorizing people with a horror greater than losing your own life: losing your child. Lawson also includes a call to action, highlighting a planned million-person march against one of the facilities, a former Walmart. He urges citizens to contact their Congressional representatives and demand they support the legislation that would outlaw this practice, the Keep Families Together Act, which was sponsored by all the Senate Democrats and therefore shunned by Senate Republicans. (He plugged a website called ResistBot which guides a person through contacting a representative.) And he suggested that people donate to organisations fighting against severe immigration policies including a legal center for immigrants in Texas called RAICES, The ACLU, and Catholic Charities of Houston. Under the Trump administration, nearly 2,000 children have been separated from their parents because of this policy in the first six weeks it was in place, the Department of Homeland Security said Friday. Lawson is among the wave of Silicon Valley executives who have begun to speak out against the policy. Such statements from CEOs are more than just showboating. Tech companies who have been selling their products and services to ICE have been coming under the gun by advocates. Microsoft, for instance, came under gun and calls for a boycott for its work with ICE, although the company also formally denounced the child separation policy. Homeland Security Secretary Kirstjen Nielsen on Saturday denied this policy exists saying “We do not have a policy of separating families at the border.” The Trump Administration says its action reflect its “zero tolerance” for people who cross the southern border illegally. Here is Lawson’s full post, reproduced here with his permission. The people we terrorize are fleeing political or economic environments that threaten their lives, and who are seeking a better life for themselves and their families. Does that horrible crime sound familiar? If you’re reading this as an American, it’s mostly like the story of your ancestors. It’s the fundamental American Story. So why is it taking us so long to mobilize against this barbaric and criminal endeavour? When reports first started circulating about children being separated from parents, children getting lost in the system, and child “prisons” - I thought this certainly wasn’t possible. I spoke to folks, friends, family, people whom I consider to have good solid belief systems. Although this story wasn’t attracting the same attention and outrage that I expected - maybe these reports weren’t true? Many people doubted it. But others seemed to be rationalizing it - well they are breaking the law after all. Well, maybe the children are better off in a detention center than they were making the dangerous voyage. Excuses. Disbelief. But not yet outrage. So why have we, the American public, let our immigration policy get to the point of war crimes before becoming outraged? Because this journey - across the Mexican desert and the Rio Grande - is not the immigration experience that most of our ancestors experienced. Imagine if instead of armed CBP guards in desert fatigues or a Walmart-turned-child-prison, our social media were filled with images of naval mines littered around Ellis Island, and barbed wire encircling the Statue of Liberty? If so - I bet it wouldn’t have taken the imprisonment of children for us to finally get angry. Now perhaps the President’s personal experience leads him to assume that if a parent commits a crime, his children must be criminals too. But that’s not what’s driving these new policies. No, let’s call this what it is - bigotry, xenophobia, and now - war crimes perpetrated by Americans on American soil against Latin Americans. Agreed that what we have today is an unsustainable legal framework, and that needs to be fixed.But let’s be clear - this is not a war on immigration, this is a war on immigrants.Separating children is just the newest development in the war on immigrants our government has been waging for the last 18 months. From ICE raids nabbing long time residents spreading fear within law abiding communities, to rescinding the citizenship of naturalized citizens. And these bigoted acts, perpetrated in our names with our taxpayer dollars, are objectively wrong. So it’s time to act. What can you do? Here’s an idea: a million person march on the Walmart turned child prison. What else can you do? Contact your senators and representatives - ResistBot makes it easy. Demand that they support the Keep Families Together Act, which as of this writing is supported by all Senate Democrats, and zero Republicans. Donate to organisations who will fight to help these children and their parents, and who fight for the end of this American barbarism. RAICES, The ACLU, and Catholic Charities of Houston are good places to look. ActBlue even has a single page where you can donate to several at once. Slate has a longer list of organisations doing work today to help the victims. And above all else, come November, vote. And vote for candidates who believe that human rights for all people seeking freedom and prosperity are fundamental to the American way. As a tech leader and public CEO, I’m often advised to stay apolitical. But this isn’t politics, I believe this is a matter of objective right and wrong. Staying silent doesn’t feel like leadership to me. I encourage other leaders to consider the cost of silence.